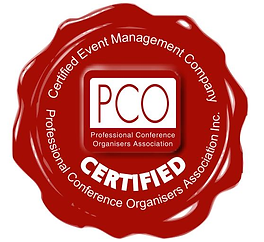 ASN Events has gained accreditation as a Certified Event Company (CEC) from the Professional Conference Organisers Association of Australia and New Zealand, and accordingly is authorised to use the CEC seal. ASN Events is committed to a process of ongoing improvement, a constant search for excellence and a desire to maintain our position as industry leaders. We are also aware of our responsibilities as market leaders in the education and support of the events industry to ensure standards across the industry continue to rise.